Last week we took a quick look at some top pro disc golfers through YouTube clips. It was fun to go through some of my favorite clips and point them out. Well, the more I reflected on it, the more it became clear that I left out a lot of great clips and even greater players. Let’s start with one of my favorite players, hands down, Josh Anthon. 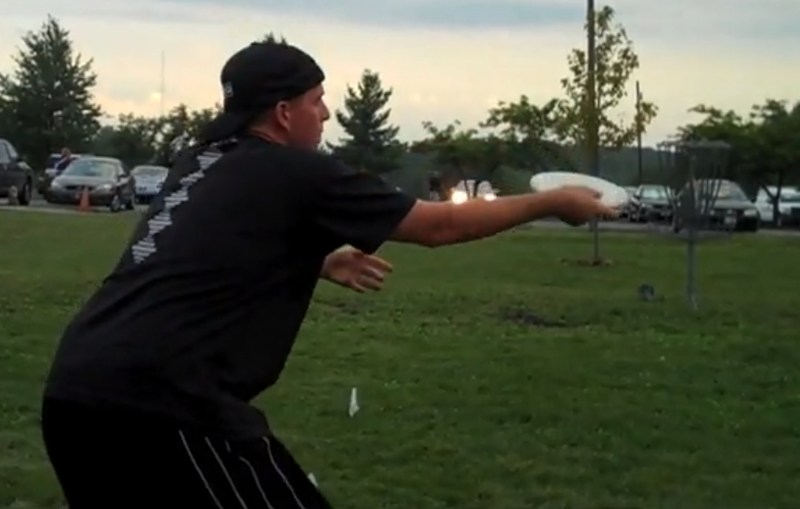 The guy just comes off as a legit, no frills, red-hot disc golfer. Whenever he plays, he’s in the mix to win, but more notably, he seems to put up insane single round numbers. If there’s a big tournament, lasting two or three days, with over 6 full rounds, the odds are that Anthon will put up a very low number and challenge the course record. It may be a style of play, perhaps he takes risks more often, but more likely- it’s his putting. He can drain puts CONSISTENTLY (key word here) from a very long distance. His confidence circle has to be 40 feet. Here’s a clip of him playing a putting challenge game, he’s the one in black, and you can see him drain putt after putt. And with the mentioning of Josh Anthon, it would seem only natural to mention Avery Jenkins. Avery was the winner of the 2009 Disc Golf World Championships, as he defeated John Anthon in a multi-hole playoff to claim the victory. While he’s sometimes viewed as a big distance player, Avery’s been around the game a long time, and comes from a family full of disc golfers. You can see his putting skills and up-shot skills on display in these clips, not just distance drives. I’m posting a link to the last two clips of those 2009 Worlds here and here, but there are more parts available to see on YouTube if you search for them. These are the greatest quality videos, but they give a good sense for the large gallery as well as the pressure put on each shot. Most folks have heard of Ken Climo if they’ve heard of any professional disc golfer. He’s one of the only pro disc golfers to have a wikipedia page (I’m not sure this means anything profound, but it’s still true! )- and he’s won a TON of World Championships. Through all of this though, I find the most interesting clip of him on YouTube is one where you see him interviewed in his own Florida home. You get to see his stash of plastic in the garage, as well as his trophies in the living room. It’s cool to get the inside look at “The Champ.” It also doesn’t hurt that he’s being interviewed by Billy Crump, one of the best personalities in the business- he can’t hide his excitement, and that usually leads to funny and entertaining interviews. Check it out here. This entry was posted in Touring Pros and tagged anthon, avery, climo, clips, dave, disc, favorite, feldberg, golf, jenkins, josh, ken, youtube. Bookmark the permalink.